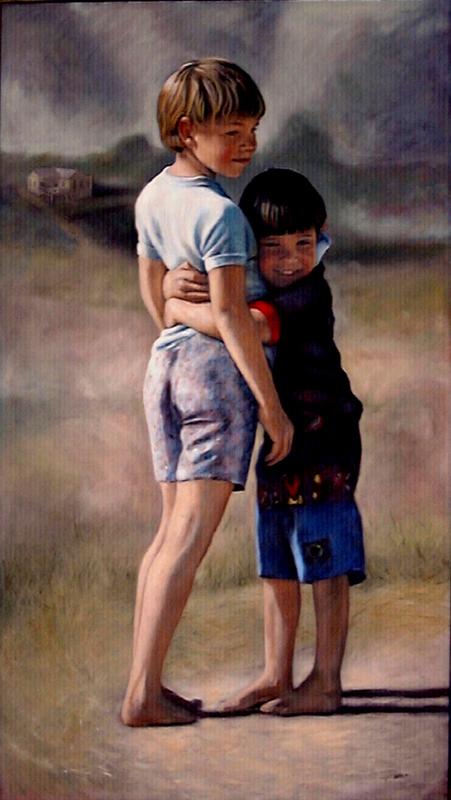 Avril Thomas was born in Malaysia 1956. She was a boarder at school in Scotland and Australia. Her favourite class was always art in which she excelled. After completing school she did her nurses training at the Royal Adelaide Hospital, but always wanted to be an artist. Avril Thomas has attended art classes of many genres including Chinese painting, botanical art and drawing. Whilst attending a life drawing class in Queensland she was encouraged to teach drawing. On returning to South Australia she attended the Adelaide Central School of Art for formal training. Magpie Springs offers a versatile gallery space for artists to exhibit 2D or 3D works. The exhibition space is perfect for a solo or small group show, in a beautiful natural setting. Being on the Fleurieu Peninsula Art trail Magpie Springs attracts many visitors interested in viewing and/or purchasing fine art. Artists who wish to hold pleinair groups or workshops or other artistic endeavours are encouraged to contact Avril and discuss arrangements. The property is ideal for art of all kinds, and facilities are available for the students. Avril Thomas has demonstration works on sale from her workshops. Avril has participated in many solo and group exhibitions. 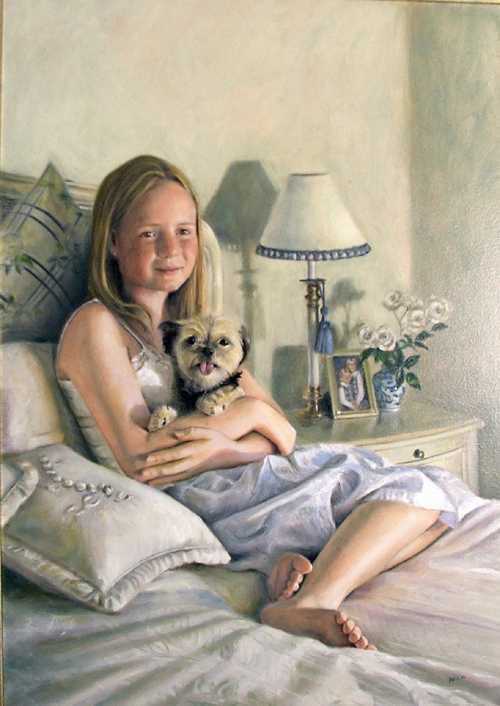 Her work is of a tonal realist nature ranging from floral to figurative pieces but her true love is portraiture. 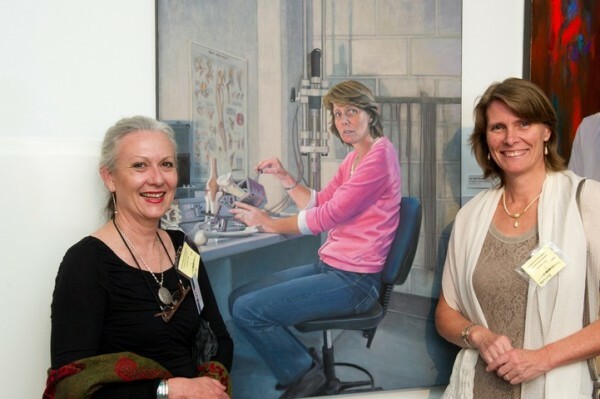 Her works can be found in most state collections in Australia, in Hong Kong and the U.S.A.
2010-2012 – Commissioned by Adelaide University School of Medicine to paint and draw key people in the Medical profession for the 125th Anniversary of the school (43 pieces). Artist in Residence at Flinders Medical Centre – a marathon of paintings and drawings of the staff working in the Operating Theatres for a solo exhibition (42pieces). 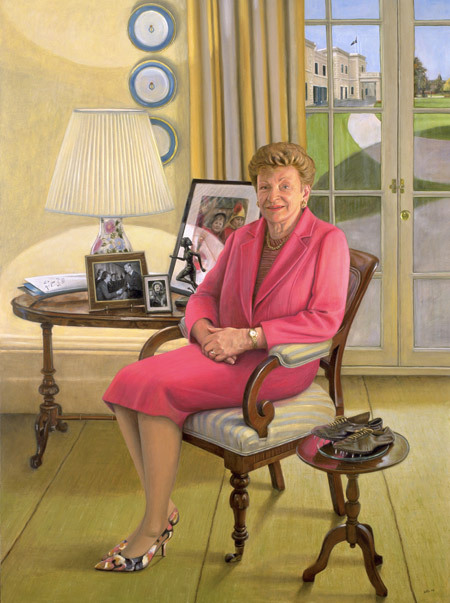 2006 – commissioned by The National Portrait Gallery to paint Her Excellency Marjory Jackson-Nelson, South Australia’s Governor. 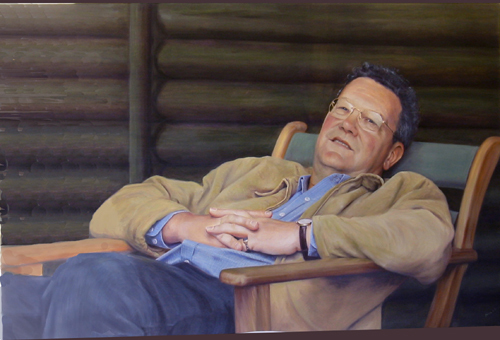 2005 – finalist in the Archibald Prize with a portrait of Alexander Downer. A retrospective exhibition and unveiling of a portrait of Premier of South Australia Mike Rann. Commissioned by Flinders University to paint Vice Chancellor Anne Edwards. 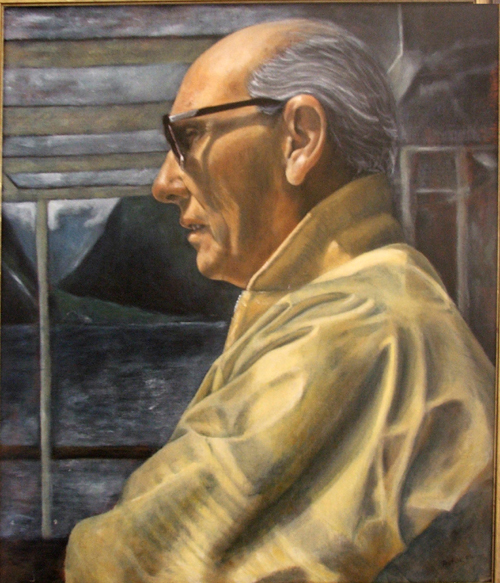 Commissioned by Monash University to paint a suite of portraits of academics. Avril’s images range from drawings in graphite, charcoal and pastel to full works in oil. Avril works primarily from photographs, this avoids the inconvenience and expense associated with long posed sittings. She prefers to take her own photographs since her needs for composition and lighting are rarely met through commercial studio photography. Clothing choice is up to the model however Avril does ask that unless the lighting is exceptional not to wear dark clothing as descriptive folds, curves and shapes are usually lost. During the first sitting a colour check is done with pastels. Avril prefers to have sittings using natural light so if lighting conditions are not optimal a further sitting time may be required. At the first sitting size and medium will be discussed and therefore the price. Paintings or drawings are priced without the frame. The price is based on the following factors, the number of people or pets in the painting, the size of the actual work the intricacy of clothing jewellery and props or the complexity of the background setting. Depending on the medium and work load you can expect your portrait to be ready two to three months if oil, sooner if it is a drawing.